Racing Hearts 5k/10k Challenge - Congratulations! | Racing Hearts - Helping to save lives with AEDs. Home » Heart Race » Previous Races » Heart Race 2018 » Racing Hearts 5k/10k Challenge - Congratulations! 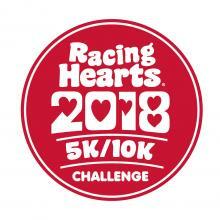 Racing Hearts 5k/10k Challenge - Congratulations! Thank you for participating in our 2018 Racing Hearts 5k/10k Challenge! We are a small nonprofit organization and would appreciate any level of donation to help us fund this challenge. Be Social - Tweet, post and share a picture of yourself and/or your route on our Racing Hearts Facebook, Twitter, or Instagram page. Tag us at #RH2k18. Join our Festival - If you live in the Bay Area, please consider Joining us on March 18th from 2-4pm for our Expo/Festival at Kings Plaza in Downtown Palo Alto. Support our cause - If you would like to support our Racing Hearts mission of ensuring access to life saving heart defibrillators (AEDs) in our community and/or if you would like to receive our race long sleeve tech shirt, please register here! Feedback - Please help us in learning how to improve our event. Fill out the Heart Race Survey below. 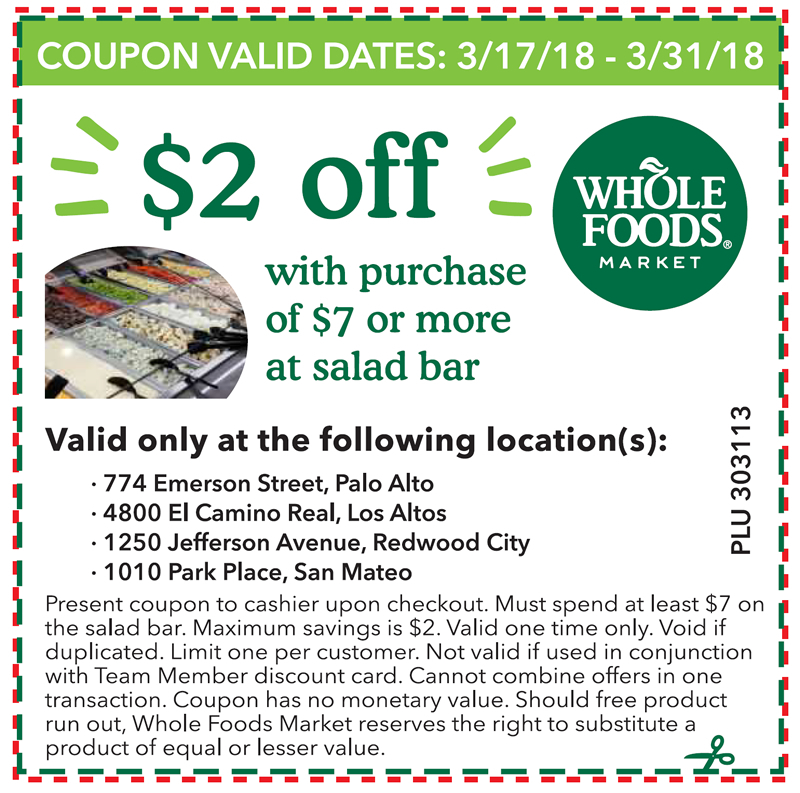 Congratulations - Whole Foods has kindly offered all Racing Hearts 5k/10k Challenge participants a digital coupon for their salad bar (dowloadable coupon is located on the right). 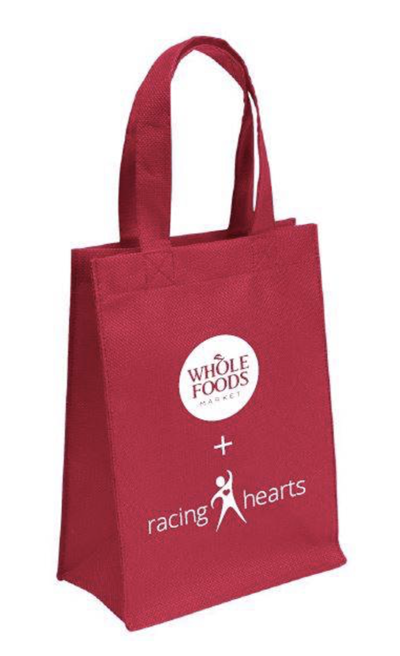 Top 200 Fundraisers with at least one donation to Racing Hearts 5k/10k (by noon March 17) will receive this reusable lunch bag from Whole Foods! Awesome goodies inside include items from YogaSource, Patagonia, Watercourse Way, Palo Alto Firefights Pepper Sauce and KIND bars!